Home » Radio » Ham Radio » So, exactly why is it called Amateur Radio? 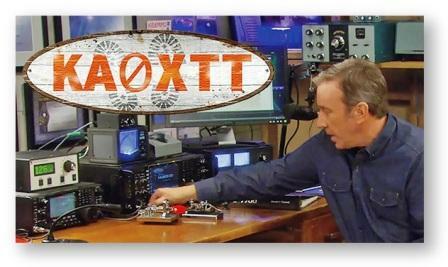 So, Tim, exactly why is our hobby called amateur radio? We will look back more than one hundred years to find the answer. Have you have visited an amateur radio operator? Or seen Tim Allen’s “shack” on Last Man Standing, it’s hard to understand where “amateur” comes into it. Most ham radio stations are quite sophisticated, complex and often, expensive. Amateur radio operators use state of the art equipment. Most have a fair amount of knowledge about their craft. Besides, have you actually met a “professional” radio operator recently? Here’s the story of how it came to be called amateur radio. Most of the science upon which early radio would be based was in place by 1875. That’s when Heinrich Hertz demonstrated technology to send radio signals, based on Maxwell’s earlier theories.Towards the end of the 19th century, Marconi demonstrated long distance radio communication, and the radio era began. During the first decade of the 20th century there was a free-for-all boom of radio use by three groups. First, commercial businesses were set up for long distance radio telegraphy and news reporting. Second, ship-to-shore radio communications became common, both by navies and shipping companies. Third, private experimenters began to build and play with their own radio equipment. And experiment they did, with many wireless clubs springing to life in Europe,North America and Australia. The biggest challenge faced by commercial and military radio systems was interference from the private experimenters, who were called amateurs. Several attempts to ban private radio experimenters failed. Finally, in 1912, the United States Congress passed The Act to Regulate Radio Communications. This Act separated uses according to purpose, power and frequency. Amateurs were allowed to continue to operate, but at lower power and different frequencies; also, they had to get licenses. Amateur radio licenses arrived in the United Kingdom immediately after World War I in 1919, and in Australia in 1925. So, we got called amateur radio only to differentiate us from commercial and military users. Hams are the original private experimenters that brought radio to life. Two final curiosities are worth mentioning. Where did the term “ham radio” come from? No one is sure, but the best explanation is that the term “ham fisted” was used to professional radio operators to insult the amateurs. Not realizing it was an insult, amateurs started calling themselves hams, too. Amazingly, the 1912 Radio Act in the U.S. did not address or even foresee radio broadcasting. It was strictly about point-to-point communications.